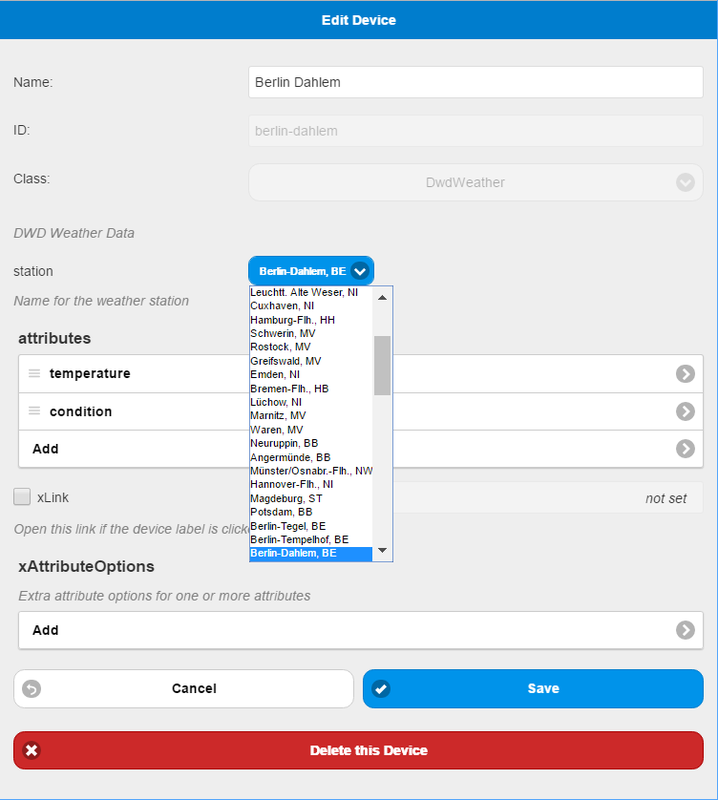 Pimatic plugin for DWD weather data. The DWD Weather device is provided to obtain weather data for a single location. "Kempten, BY",  "Oberstdorf, BY",  "Zugspitze, BY",  "Hohenpeißenberg, BY"
Since pimatic version 0.9, devices can be easily created and edited using the device editor as shown in the following example. Copyright (c) 2015-2018, Marcus Wittig and contributors. All rights reserved.